Mid century modern home! Tons of potential in this classic home with a modern flair! The living room has vaulted ceilings with transom windows to bring in lots of light! Newly finished hardwood floors! Built in cabinets with a beautiful wood grain! Kitchen has 2 bay windows, granite counters and tons of storage space. Pull out pantry shelving! 2 ovens plus a built in microwave. Large Family room off living area has a wet bar and a huge laundry room with sink! Above the family room is a huge room with tons of uses! Convert to 4th bedroom (master Suite) or make it game room or play area! It has a sink and a large closet for storage and small balcony! Use your imagination to make it fit your needs! 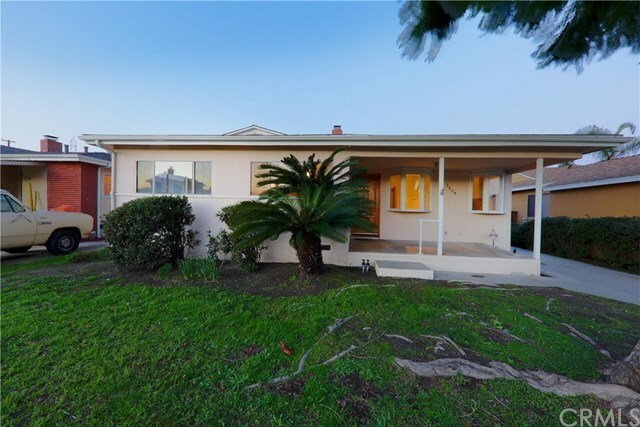 Tucked in a great Northwest Downey neighborhood!